With the introduction and success of ICSI technique, novel opportunity for parenthood developed for azoospermic men. Epididymal and testicular spermatozoa can be used for ICSI technique. Testicular spermatozoa can be retrieved even in some patients of Non obstructive azoospermia as isolated foci of spermatogenesis may be present. 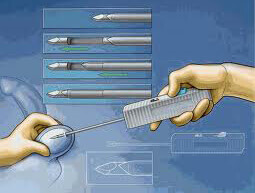 Surgical retrieval of sperms has now become a routine technique in clinical andrology. ICSI has also reinforced the role of non-surgical techniques of sperm retrieval in men suffering from anejaculation. Testicular biopsy can be performed by needle aspiration and if sperms cannot be retrieved, open excisional testicular biopsy can be performed. 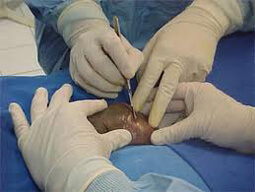 Commonly utilized techniques for sperm extraction are TESA (Testicular Sperm Aspiration), PESA (Percutaneous Epididymal Sperm Aspiration), MESA (Microsurgical Epididymal sperm aspiration), and TESE (Testicular Sperm Extraction). The procedure can be performed in local anesthesia. Contact Shalby Hospitals to know more about IVF treatment.